"Need a good way to kick-start your day? This Power-Packed Smoothie tastes delicious and is so good for you!" 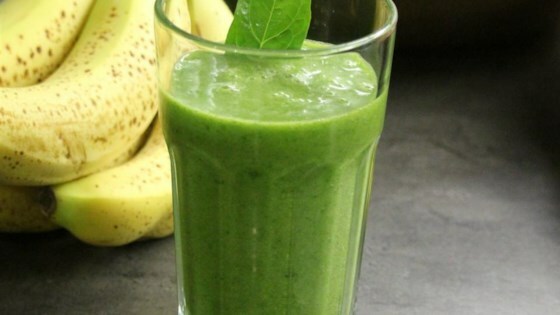 Place cold water, banana, and spinach leaves in a blender; blend to combine, about 5 seconds. Add spirulina powder and blend until smooth, 1 minute more. Very refreshing! I used 1/2 cup of water and 1/2 cup of ice. Thank you for the recipe.